Harwinton, CT — December 11, 2008—CAL Business Solutions Inc., a leading provider of Microsoft Dynamics GP accounting software in Connecticut, announced today that it was chosen as one of the select 100 Pacesetters for 2008 by Accounting Technology magazine. “We are honored to receive this distinguished recognition from such a well respected publication. I am proud every time a small company in Connecticut is recognized as a leader among their peers nationwide,” said George Mackiewicz, President of CAL Business Solutions. Robert Scott, editor of Accounting Technology states, “The goal of Pacesetters is to honor firms of quality that carry accounting software as the central part of their product line regardless of the size of the firm.” The performance-oriented recognition is based on selection criteria that include awards, leadership, industry reputation, and company growth. CAL Business Solutions has received numerous industry awards including Microsoft Dynamics President’s Club, Microsoft Excellence in Small Business Vertical and the Microsoft East Region Competency Award. Since 2006 CAL Business Solutions has grown 300% in revenue and from 7 to 19 employees focused entirely on Microsoft Dynamics GP financial management systems. 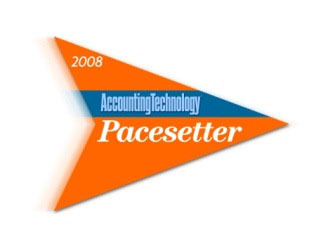 The 2008 Pacesetters list of 100 select companies is a supplement to the Accounting Today, Accounting Technology, and Practical Accountant publications. About CAL Business Solutions Inc.